Wonder Woman Apron by Half Moon Bay, an official merchandiser for DC Comics. 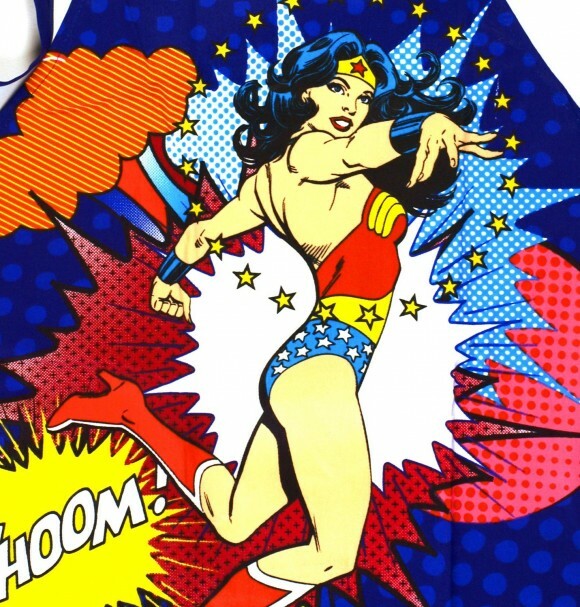 This fantastic ladies apron is printed with a Wonder Woman WHOOM! design with blue frilly edging and blue spots. 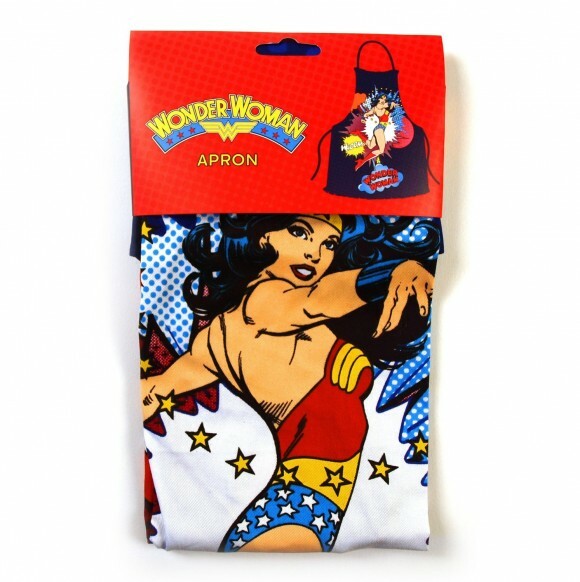 An extremely stylish apron made for a Wonder Woman in the kitchen!